Hello wine lovers and happy wine Wednesday! I cannot get over how stunning Vancouver is in the sunshine…this summer is turning out to be a real beauty. Thank you for your feedback on “The Chardonnay Chronicles” – I am thrilled to learn that a few of you have taken up the challenge to reintroduce your palate to one of the most versatile and sought after grape varieties in the world! How could I have ever doubted this grape? I shake my head and stop giving myself a bad time because now I am a true believer. 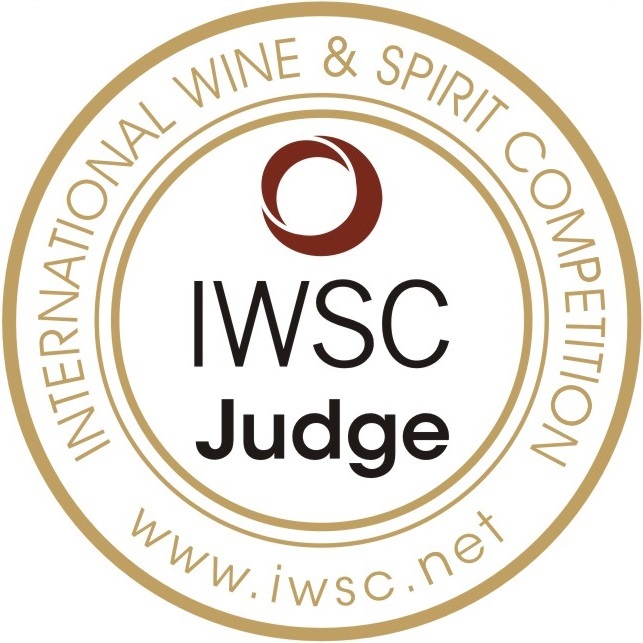 And – this weeks’ bottle on the judging block is, happily, another fine example! Yes – you heard a ‘Hell Yes’ already, didn’t you??? From San Fransisco Bay, Wente Vineyard‘s Morning Fog 2011 Chardonnay has, simply put, won my heart. This lovely wine delivers what I want to taste in my glass of cold Chardonnay at a reasonable price point of $18.99 at the B.C. Liquor Stores. Wente Vineyard’s named this Chardonnay after the morning fog that flow in from San Fransisco Bay over to Livermore Valley – just east of San Fransisco where the winery is located. Wente Vineyard is America’s oldest, continually operated family winery and is a sustainable vineyard…Nice! In the glass, Wente’s Morning Fog Chardonnay is a medium lemon colour with aromas of ripe red and green apples, lemon peel, a touch of vanilla and some nice stone fruit. On the palate, this is a dry wine with refreshing medium levels of acidity, medium plus body, medium plus levels of alcohol at 13.5% abv and medium plus in the flavour intensity. On the palate, again notes of ripe apple – but this time more red apple, citrus, honeydew melon and a perfect balance of butter and vanilla that was not at all over powering. This is a well-rounded wine that is interesting to smell and drink with a fantastic medium plus finish. 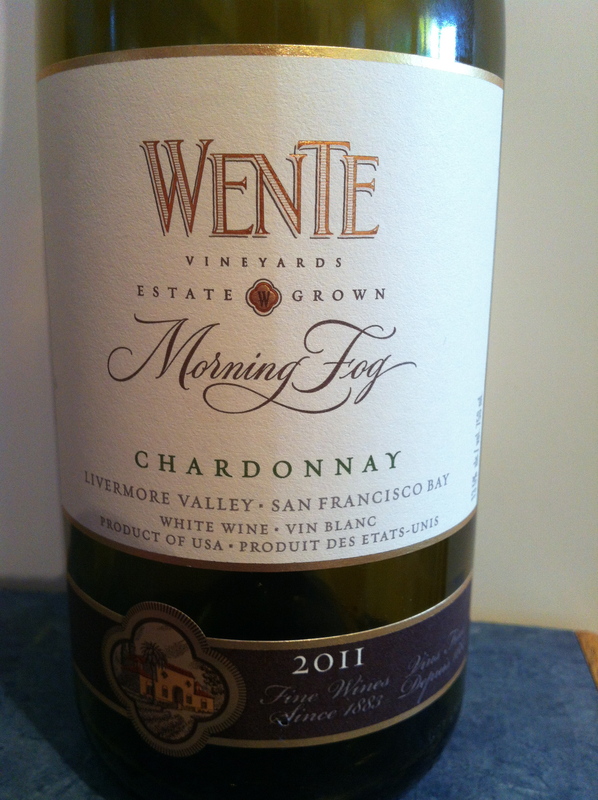 Wente’s Morning Fog 2011 Chardonnay will be given a spot in my wine cellar indeed… For you wine adventurers out there – I do urge you to pick up a bottle of this lovely Chardonnay, take it home, put it in the fridge for about 3 – 4 hours, pull the cork and enjoy! A GGG ‘Hell Yes’ for flavour, value and balance. Serve around 10° C – 13° C for premium flavours. Pair with chicken breast on the BBQ, corn on the cob with butter and a simple salad. Did I mention it is $18.99??? This is a great value for a fantastic wine! That is it for me this week…I will try to post again next Wednesday before I head off to Champagne and Paris. I have some very cool tours set up at famous and not so famous Champagne houses. And, my lovely readers, I ask you what is the grape variety used to make blanc de blancs Champagne? Yes – Chardonnay! You can tell I am a bit in love with this grape, non?